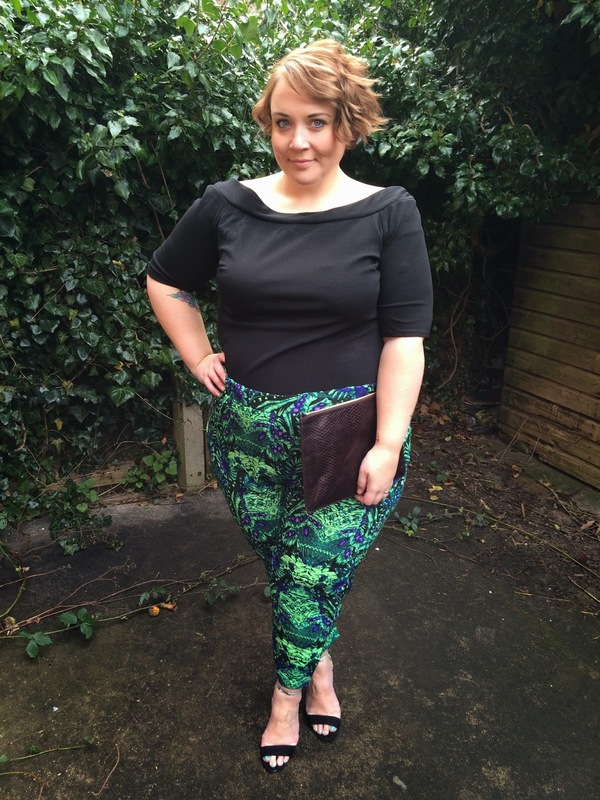 Style: Plus Size Clothing with House of Fraser. 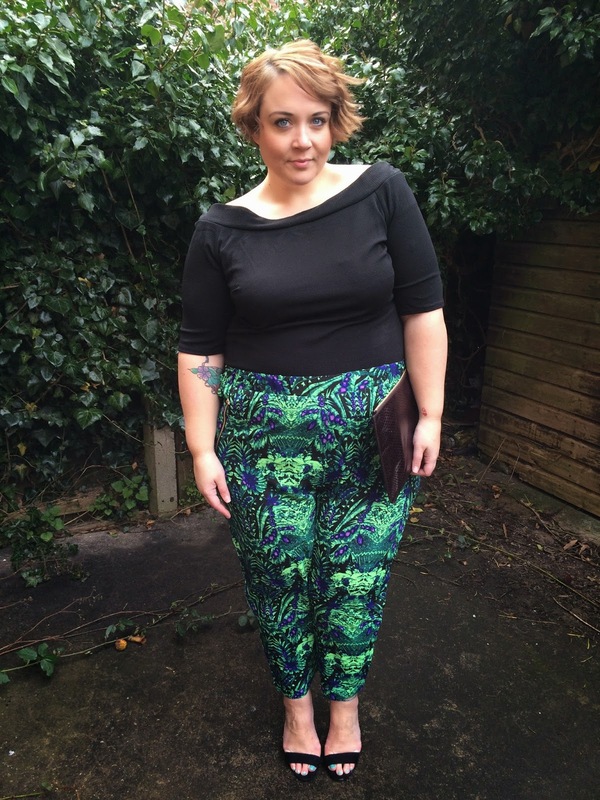 You might remember back in November I blogged about the latest Plus Size offerings from House of Fraser. Today I've got another lovely piece from them to show you. I thought I'd go with Plus Size Trousers this time. I know a lot of you find it difficult to find trousers that fit right, or are unsure what style to get. Well you know me, I'm a sucker for a pair of brightly coloured, peg leg trousers. I really can't help myself. When I saw these I just knew they had to be mine. These are from the brand Samya, I've had a couple of pieces from them before but never trousers, so I was a little unsure on the sizing. I decided to size up to a 24. I think I might have been able to get away with a 22, but these are a rigid silk type fabric, so there is no stretch so I'm quite happy with the 24 so I have some room to move around, sit down and dance the night away if needs be! They have an elasticated waist and the leg tapers down nicely. They sit just above my ankle (I'm 5"7') I've styled them for a night out here, but these are going to look equally awesome with flat sandals and a vest top for the summer and will definitely be coming to Portugal with me when I go on my jolly's! 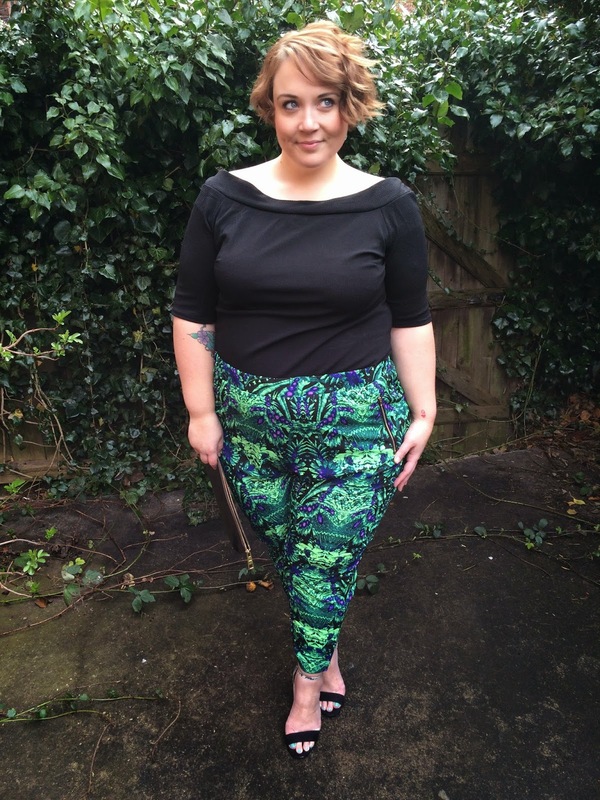 There is a really good variety of styles and sizes of plus size trousers on the House of Fraser website, it's worth ordering some different shapes to see what works for you. After much trial and error I know that peg legs, skinny fit and boyfriend styles look better on me. Wide leg and boot cuts are a massive no-no, they just look terrible on me and don't suit my personal style. I've teamed the trousers with this Simply Be Bardot neckline top, JustFab heeled sandals and textured clutch. My hair is utterly bonkers at the moment. I think I wanted it to be all Carrie Bradshaw, the wavy bob years, but it's not quite there yet! I've got outfit updates for the capsule wardrobe challenge coming up later today, I just have to get dressed first! Haha! This is such a cute outfit and it really suits you. Oh Mrs B I want everything you wear! Great colours in those trousers that print would make an awesome frock!